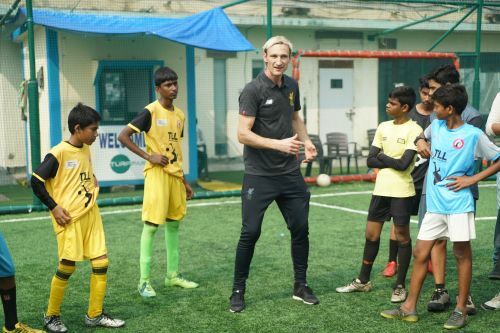 Effortlessly juggling a ball wearing Kolhapuri slippers, putting decades’ worth of football knowledge into a two-hour training session with underprivileged kids, attending a fan screening of Sunday’s 1-1 Merseyside derby...these are just some of the fun highlights of Liverpool legends’ visit of India last week. 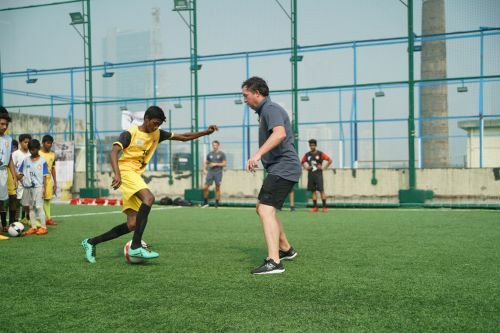 Luis Garcia, Robbie Fowler, Sami Hyypia and Vladimir Smicer were in Mumbai from December 7-10 representing LFC World presented by Standard Chartered. The quartet met with fans, visited the historic Gateway of India, spent a morning playing golf, took part in a 5-a-side game, conducted soccer clinics and trained with young kids of The Little League NGO during their brief stay in the city. Garcia, Fowler and Hyypia were among the Liverpool fans cheering during Sunday’s draw between Liverpool and Everton at a local pub. Fans also had the opportunity to meet club mascot Mighty Red throughout the weekend. Legend Luis Garcia is not only considered a great in Anfield but also in India, where he won the inaugural edition of the Indian Super League with Atletico de Kolkata in 2014. The former Reds and Barcelona attacker was gifted a pair of traditional Maharashtrian footwear as he gave away signed jerseys to the large crowd singing his name. Hyypia was overjoyed by the warm reception Indian fans gave the former Reds. ”It is always amazing when I come to Asia. There are so many passionate fans here,” said the towering former centre-back. LFC World is a three-day road show that features a range of activities that engages fans of all ages and provides exciting opportunities to meet former LFC players. Last season the fan experience visited Singapore, Kuala Lumpur, Hong Kong and Shanghai meeting thousands of fans along the way.